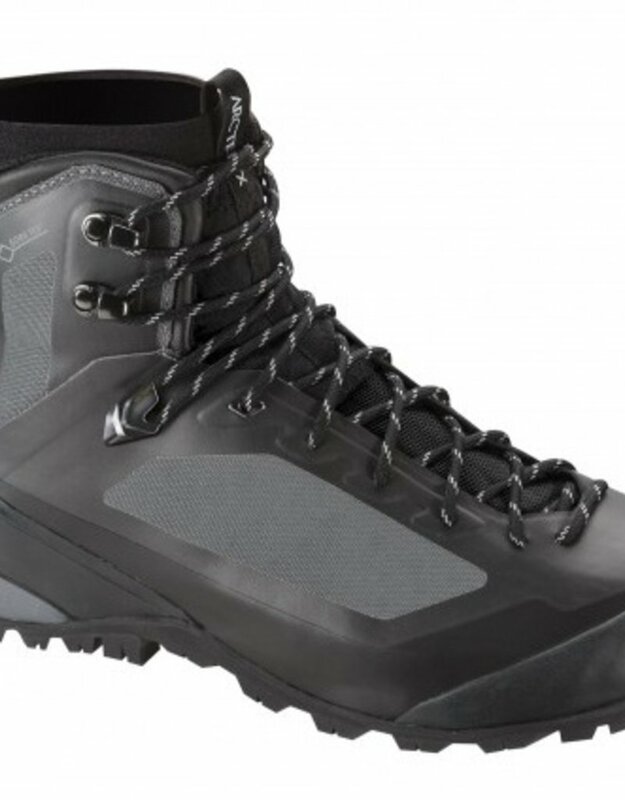 The Bora Mid GTX delivers durable, supportive multiday hiking performance with GORE-TEXÆ waterproof/breathable protection, Arcíteryx Adaptive Fit comfort, and a hardwearing seamless thermolaminated upper. Agile and supportive, the custom VibramÆ outsole adapts to shifting trail surfaces and topographies, while still providing support and long haul durability. The spherical heel design facilitates a smooth stride, and employs ìYî groove split heel technology for exceptional braking and agility. The injected EVA midsole provides cushioning and support, and is designed and moulded to work in tandem with the outsole. 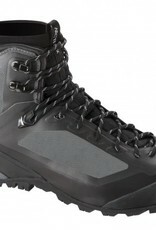 Three dimensional moulded toe and heel caps protect the foot and further extend durability, and the 3D moulded Ortholiteô footbed ups the comfort level during extended days on trail.